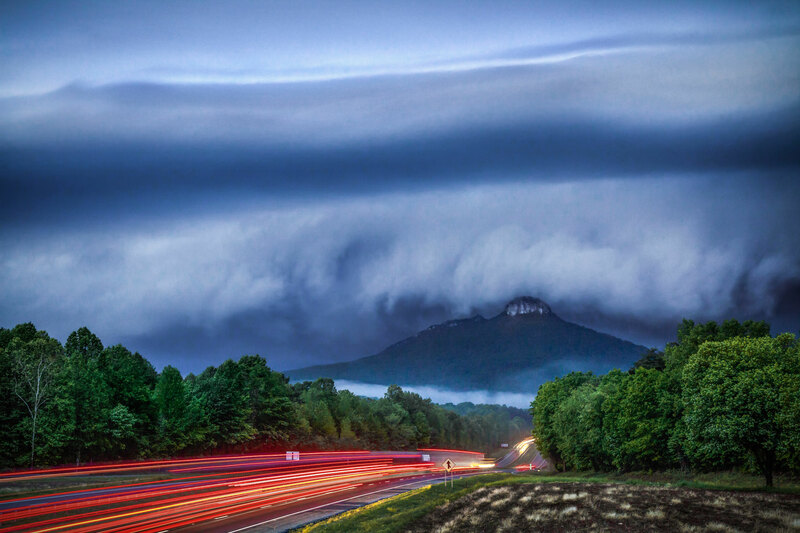 Long exposure of a shelf cloud overtaking Pilot Mountain, in NC. This severe warned storm packed a punch with fast wind, lightning, and hail. Single 4 second exposure @ F/9. From early May 2016.